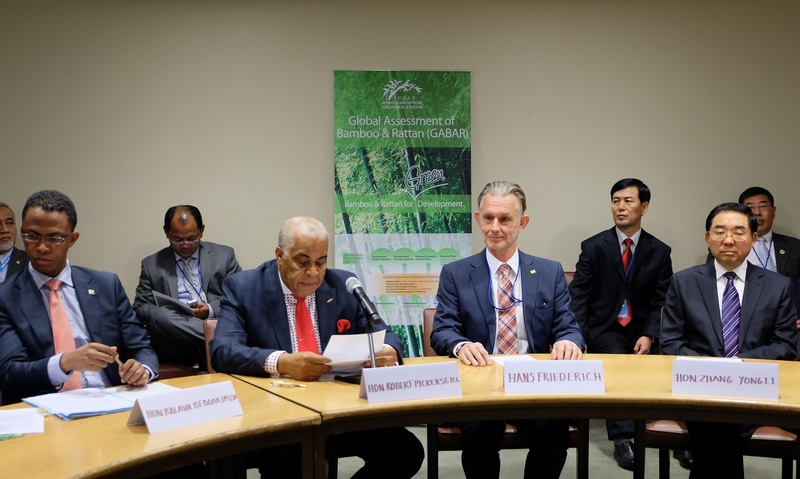 I attended the 11th meeting of the United Nations Forum on Forests in New York in May this year, as the International Network for Bamboo and Rattan (INBAR) is an official observer. We had several events planned, and the main objective was to raise awareness about bamboo and rattan, and to reconfirm our interest in joining the Collaborative Partnership on Forests (CPF). 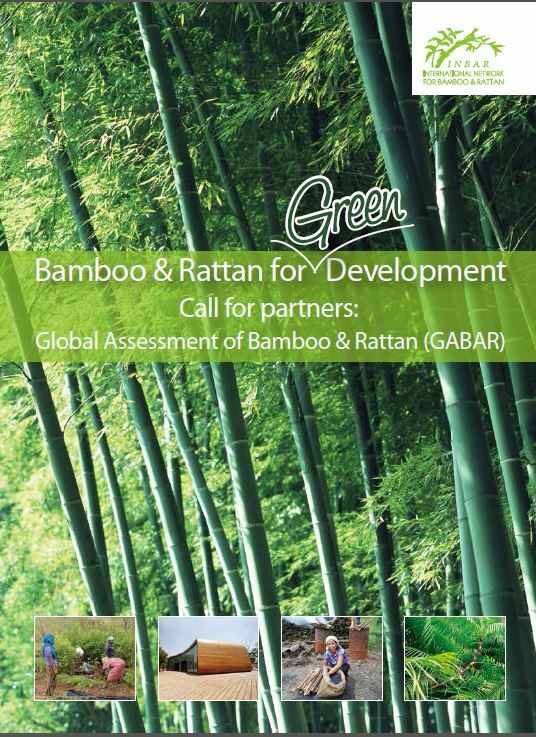 One of our main activities was a side event to talk about the Global Assessment of Bamboo and Rattan (GABAR). The meeting was very successful, and the room was full to capacity. Minister Robert Pickersgill from Jamaica gave a welcome speech, and Vice-Minister Zhang Yongli from China presented a key-note address. Minister Nii Osah Mills from Ghana and Minister Ralava Beboarimisa from Madagascar also attended the event. We had three case studies from China, Ecuador and Kenya, and they were informative and presented interesting facts and figures. The main outcome of UNFF11 was a ministerial declaration and a resolution about the International Arrangement on Forests beyond 2015 (IAF). The final approved text has now been released, and this has many interesting aspects for bamboo and rattan, and for INBAR. The IAF is composed of the UNFF itself, the abovementioned CPF, the Global Forest Financing Facilitation Network and the Trust Fund for the UNFF. As INBAR has requested to join the CPF, we would be considered a component of IAF as soon as our request has been approved. For the moment we will be seen as a partner to IAF. The objectives of IAF are to promote the implementation of sustainable management of all types of forests, and to enhance the contribution of all types of forests and trees outside forests to the post-2015 development agenda. This description clearly includes rattan and bamboo both inside natural forests, in plantations and in agro-forestry plots. Bamboo is often grown around the homestead, and traditionally that would not be considered part of forestry. The new IAF text takes a different view. IAF specifically says that it will foster South-South and triangular cooperation. 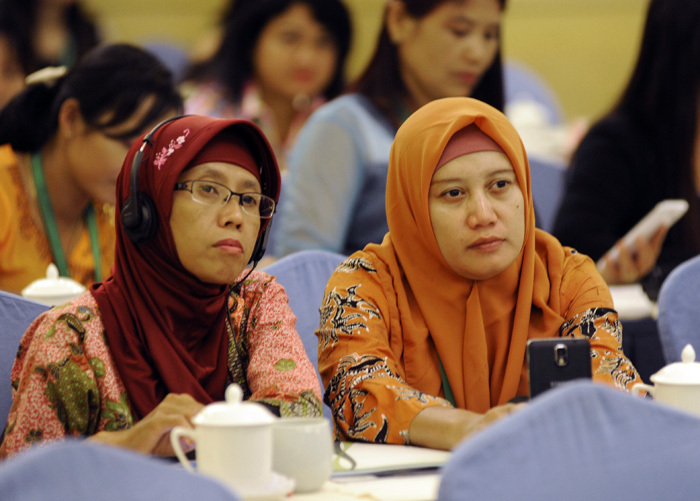 As a Membership union of 41 States, comprising 40 countries in the Global South and Canada, INBAR has been practicing South-South and triangular cooperation ever since its creation in 1997. We therefore are glad that IAF stresses this aspect of international development. 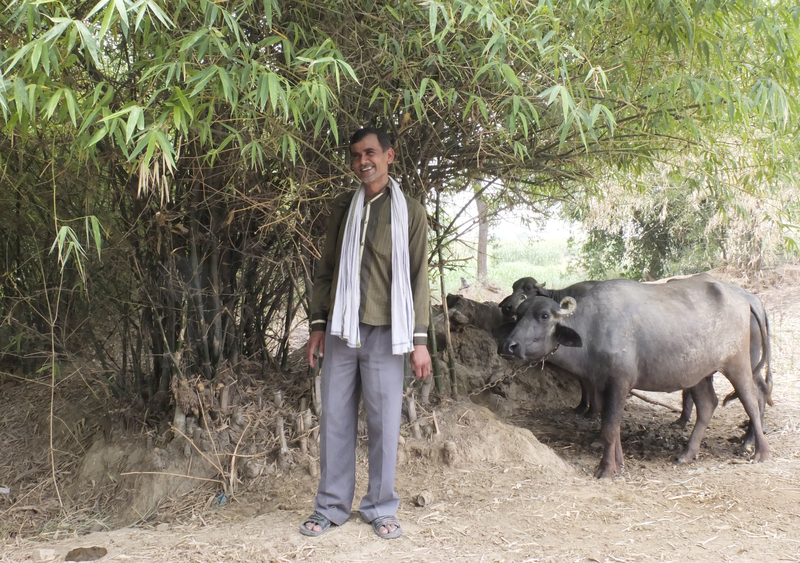 According to IAF, the core functions of UNFF are to provide a platform for policy development, dialogue, cooperation and coordination on issues related to all types of forests and to promote international policy development on issues related to all types on forests. 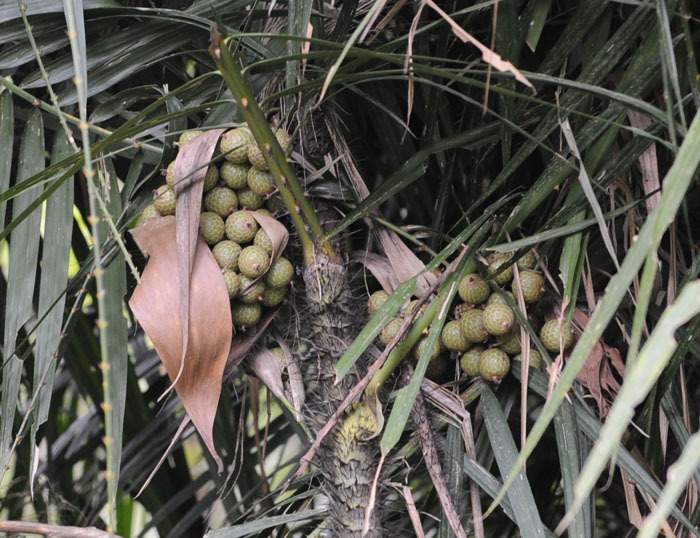 This means that UNFF will include rattan and bamboo in its work, and INBAR has a key role in supporting UNFF with regards to these two important Non-Timber Forest Products. IAF says that the newly created Global Forest Financing Facilitation Network will give special consideration to the needs of Africa. This is particularly relevant to INBAR, as 18 of our Member States are from Africa, and there is great potential to develop sustainable bamboo and rattan development activities throughout sub-Saharan Africa. During the coming year, the CPF will assess its membership and will consider the potential added value of additional members with significant forest-related expertise. INBAR has requested to become a member of the CPF, and this statement suggests that our request will most likely be considered favourably. The IAF stresses the need to ensure coherence and consistency with the post-2015 development agenda and relevant multi-lateral agreements. INBAR has already spelt out the significance of bamboo and rattan for the SDGs, and is proud to be observer to UNFCCC, UNSSD and CBD. The Ministerial Declaration that was also produced at UNFF11 supports all the issues mentioned above, and stresses the relevance of UNFF. So, apart from our successful side event and my speaking slots during the meeting in New York, the outcome of UNFF11 also supports the work of INBAR. It was time well spent! I have just returned from an interesting international seminar about rattan in South-East Asia. 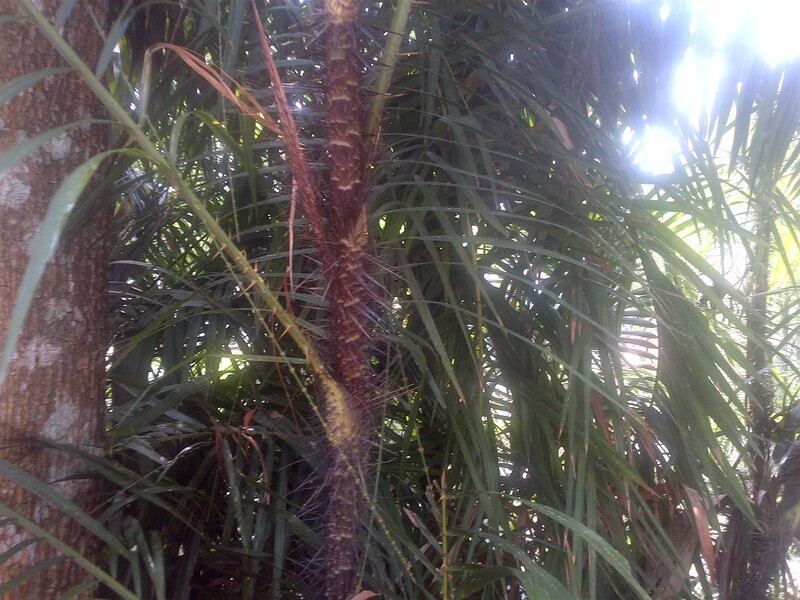 Rattans are climbing palm trees that grow naturally in West and Central Africa and in South-East Asia. This seminar focused on the latter region, and was held in Haikou, the Capital of Hainan Province in southern China. In the past, China has had extensive rattan forests, but currently rattans are only found in Yunnan and Hainan Provinces, and Hainan has the largest area. We had more than 110 participants from Cambodia, China, Indonesia, Lao PDR, Malaysia, Myanmar, Timor Leste and Vietnam, and from ADB, SNV and WWF. I had never seen rattans in the wild, and it was interesting to find out what they look like. Baisha Autonomous County in the central mountains of Hainan, is an area mainly inhabited by the Li ethnic minority. Baisha County has a total area of 202,000 ha, and 177,00 ha is forests. 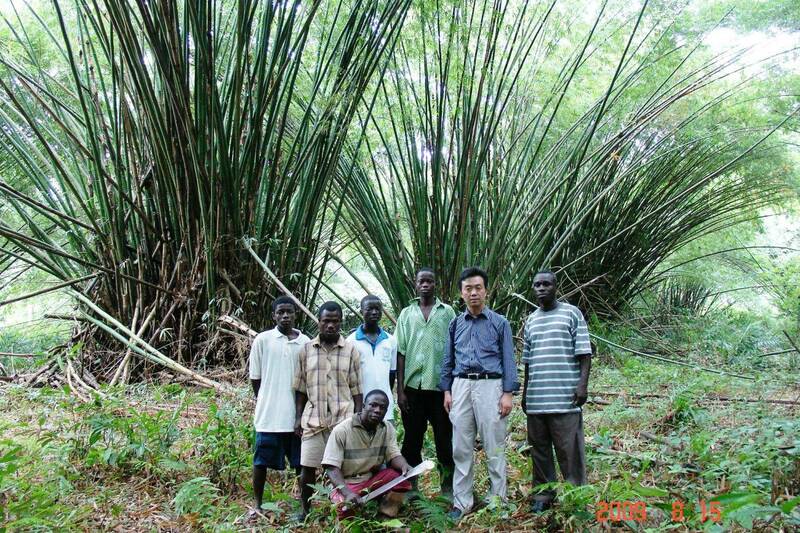 These forests have wild rattan resources, and from 2001 to 2006, additional rattan seedlings were planted amongst the Carribean pine trees in a 3000 ha plantation in the southeast of Baisha County. We visited this plantation area to see the living rattans and were told that in 2014 more than 300 tons of rattan was harvested from the area with a total value of CNY 12 million (approx. USD2million). I learned that rattan fruit is particularly valuable, and in 2014 5000kg of fresh fruit was collected with a value of CNY 2.8million (approx. USD3.5Million). When we visited the plantation, we saw the fruit as well. The actual seminar discussed the various challenges and opportunities of managing and collecting rattan plants and producing furniture and handicrafts. The discussions listed a number of key issues, starting with the fact that we lack reliable data about the actual distribution and composition of rattan forests. 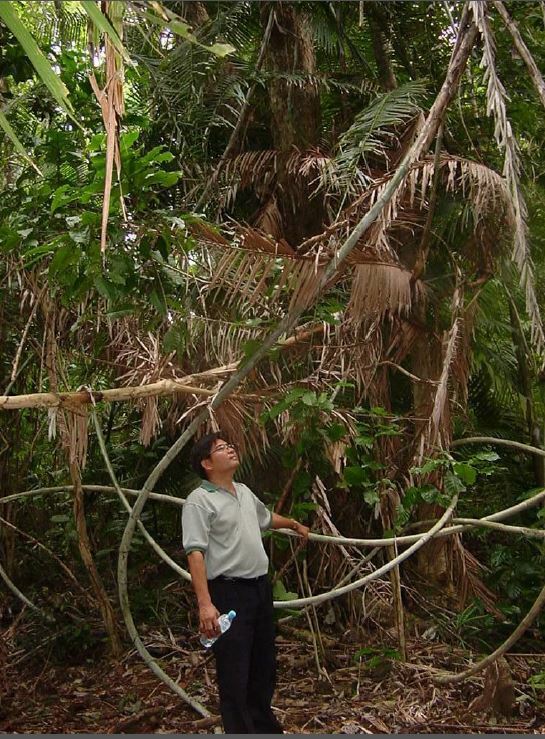 This is partially due to the fact that rattan is part of a natural forest canopy (with densities of several hundred plants per hectare), but it also reflects the broader challenge of a lack of overall resource inventories. INBAR is launching a Global Inventory and Assessment of Bamboo and Rattan, and the discussions in Hainan supported the need for such an inventory in all of the ASEAN nations that have natural rattan resources, so that the current maps can be verified and updated. There was a lot of discussion about the need for enabling policies, although it is clear that the situation varies from country to country. Malaysia informed us that there are several policy instruments in operation to guide sustainable management of rattan, and Indonesia has a ban on the export of raw rattans in order to protect the natural resources and to promote domestic industry. We heard that enforcement of regulations is often lacking, and governments were requested to make more effort to support a sustainable rattan industry. There was a loud call for technology transfer, training and capacity building at the seminar. INBAR was applauded for having organised the meeting, but participants strongly recommended that such training seminars should take place on a regular basis, maybe every year. It was recommended that all ASEAN nations should participate, as well as the ASEAN Secretariat, and all international organisations that play a role in rattan project management. At the same time, complementarity of different projects was recognised, and a request was made that reports of previous project should be made available on the internet. WWF offered to share several of its training manuals and guidelines, and INBAR is in the process of collecting as much information as possible on its new website. 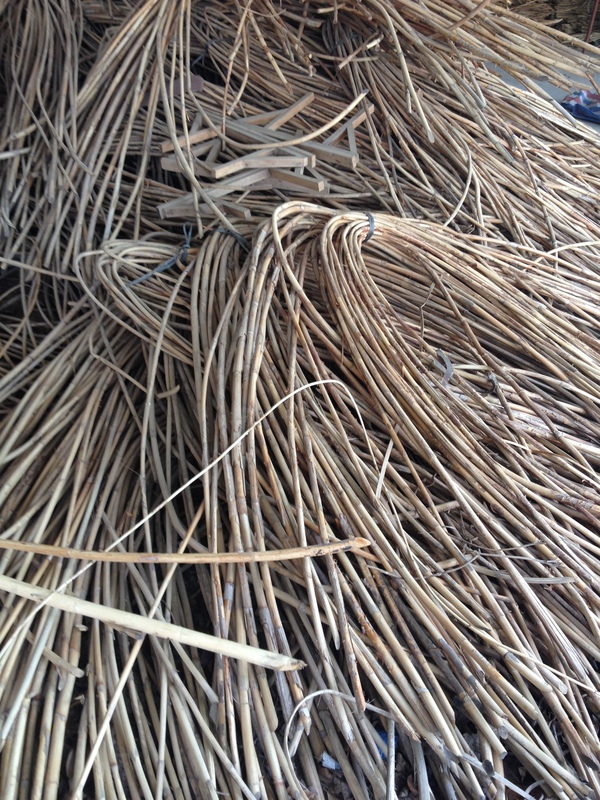 There was a clear demand for development of a reliable supply of rattan for the global market, and the private sector representatives in particular reflected on the fact that investors are reluctant to put their money in a venture with high risk of failure due to a lack of raw products. We agreed that this has two aspects: on the one hand we may identify unexplored natural resources in some countries, and one the other hand we should promote the planting of new supplies in those countries where demand outpaces supply. The field visit was an eye-opener to see rattan growing in a pine plantation, and discussions took place about the possibility to grow rattan in combination with rubber or oil palm plantations. Clearly, more research is needed, but this was seen as a potential win-win situation. The current market for bamboo products consists mainly of traditional furniture and handicrafts, and design improvement will most likely broaden this market. We visited the showroom and factory of one of the supporters of the seminar, Hainan Sino Rattan Technology Co Ltd, and saw a range of products. As the market of this company is China, the designs are traditional, but others participants reflected on the fact that European customers would be more interested in other designs. 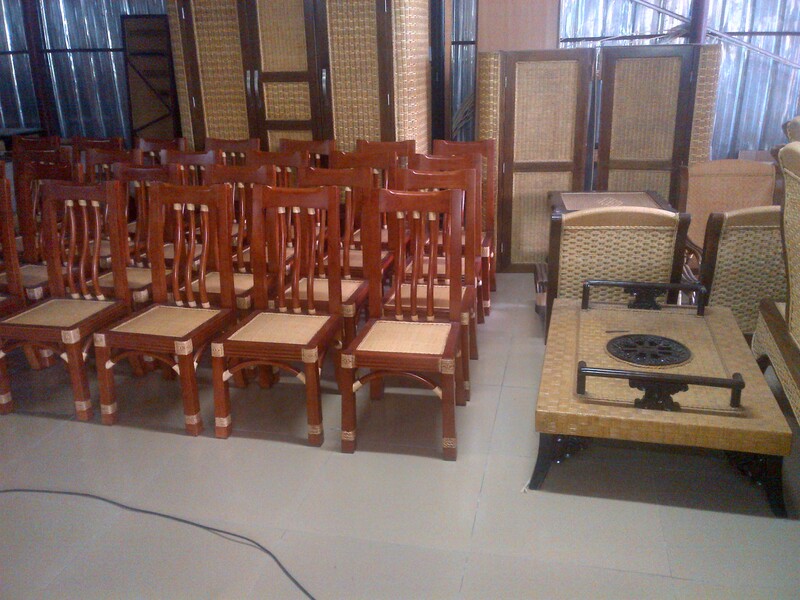 We also talked about the fact that the manufacturing of rattan furniture is very labour-intensive, and therefore it is no longer cheap furniture. This raises questions about the sustainability of the industry as rising labour costs may eventually price the commodity out of the market. This would replicate what happened with the bamboo industry. In the middle of the last century, Japan was leading the development of bamboo furniture. When it became too expensive to manufacture bamboo furniture in Japan, the industry moved to Taiwan. This became too expensive as well, as the furniture industry is currently focused around Anji County in Zhejiang Province of China. There is concern that this may not be a long-term solution, due to the rising labour cost in China. Dr Yang Shumin from the International Centre for Bamboo and Rattan in Beijing, China (ICBR) gave a presentation about the molecular properties of bamboo and went deep into the matter. 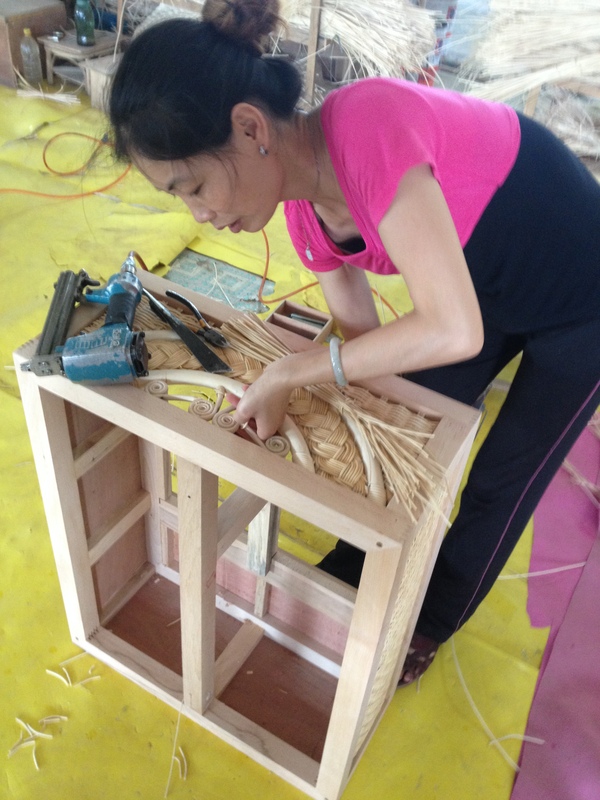 She showed all kinds of graphs and analysis, which led her to make a prognosis that new markets may opening up with potentially high-value new rattan products. These new products would have nothing to do with furniture or handicrafts, but would be based on extracts of chemical and pharmaceutical properties, on new compounds using rattan as a component and on biochemistry developments with rattan. Finally, we spent some time taking about the fact that consumers in Europe and USA are demanding sustainably produced products, and want to know how “green” the production process is. 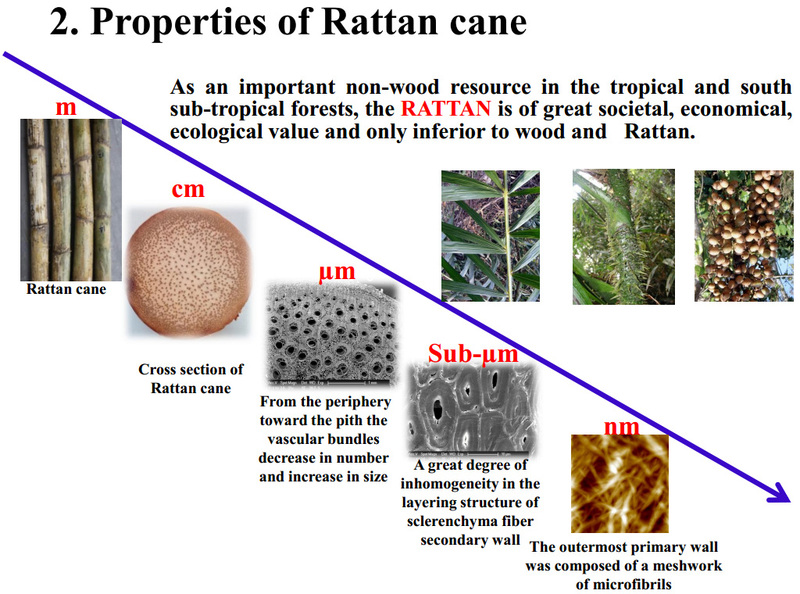 Several presenters admitted that the current process to strip rattan of its spines and make it supple involves the use of chemicals and processes that a far from “green”. There is also a lack of standards for the quality of produced products and for the level of craftsmanship. The meeting concluded that we will need to think about certification or verification of the production methods, and we need to set clear standards for products. In this respect, the new ISO Technical Committee for Bamboo and Rattan was mentioned, and several speakers supported the idea of such a dedicated committee. What needs to be worked out is what role INBAR has in the future management of this committee. All-in-all, these were two very interesting few days in Hainan.